Shirley Brosius has authored Sisterhood of Faith: 365 Life-Changing Stories about Women Who Made a Difference. Along with Janine Boyer and Kim Messinger she coauthored Turning Guilt Trips into Joy Rides. 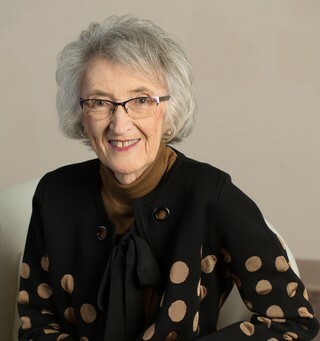 Shirley has also written hundreds of newspaper and magazine articles on subjects ranging from spirituality to the beauty of her hometown, Millersburg, PA.
She especially loves speaking with Friends of the Heart, three women who share God's love through skits, messages and songs. Part of her presentations include presenting lengthy portions of scripture, such as the book of Ruth, from memory. Visit iDisciple.org to read some of her writings. Her literary agent is Dave Fessenden of WordWise Media. Married to Bill, a retired math teacher, they have two married sons, a daughter waiting in heaven, and five grandchildren. For fun, she tries to downsize . . . and watch Jeopardy. These women challenge you to "Look what you can do—at any age, at any stage!" Janine Boyer, Kim Messinger and Shirley began meeting as a small group to discuss Christian books in 1998, after Janine and Kim asked Shirley to mentor them. But through the years, mentoring has turned into ministry. The three call themselves Friends of the Heart and speak at women's retreats and other events throughout the East. Evangelical Seminary in Myerstown, Pennsylvania, named Shirley the 2007 Alumnus of the Year. Her publication credits include Angels on Earth, Country Journal and Living With Teenagers. She is a CLASSeminar graduate, a former Stonecroft Ministries speaker and a member of The Authors Guild. An elementary teacher, WGAL TV named Kim a 2017 Impact Teacher of the Year. Janine works in a family business.